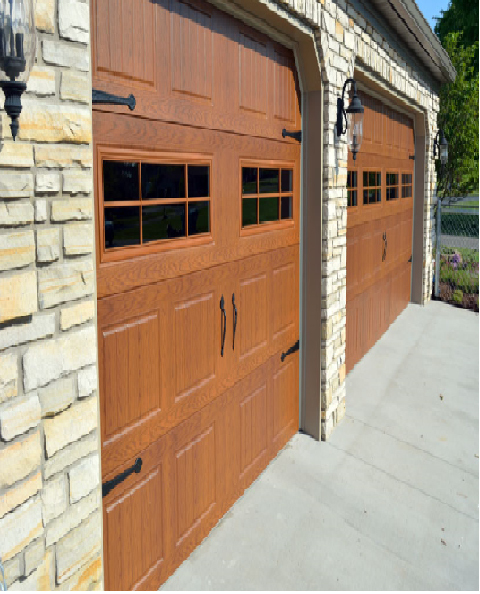 The Orion Timberlast Collection | ThermoDoor Your local garage door experts serving the metro-east with excellence for over 35 years! Hörmann Orion Collection with the TimberLast™ finish offers the durability of steel with the elegant look of natural wood. 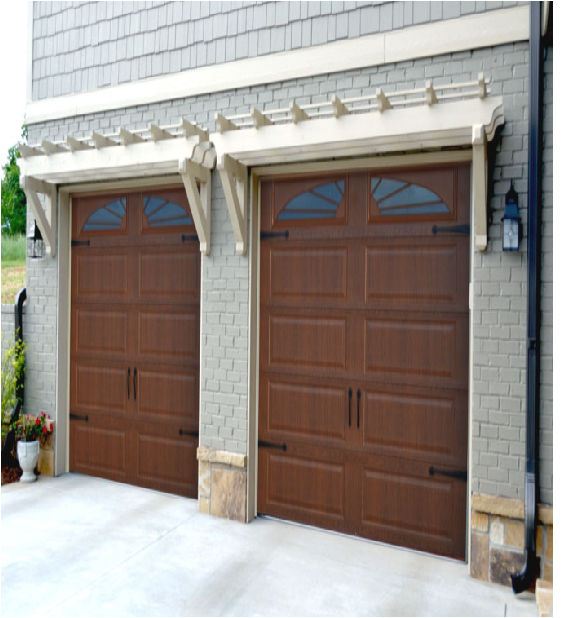 Enhance the beauty of your home with our selection of four diffrent woodgrain textured steel panel designs. 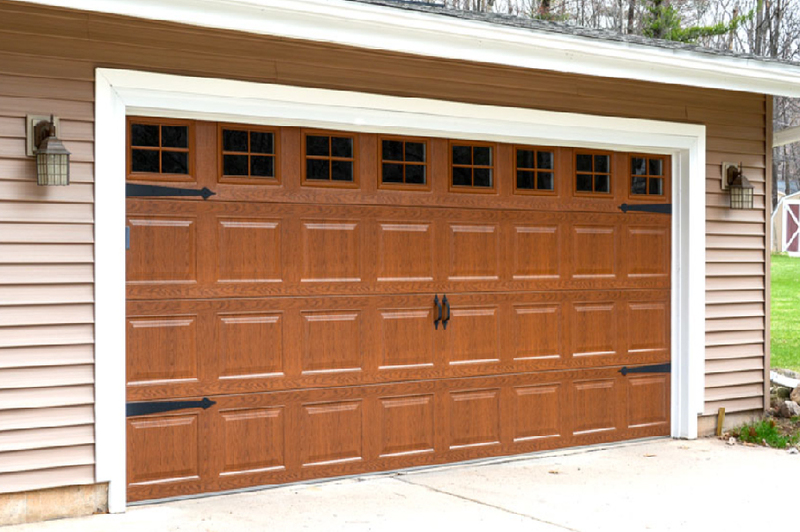 Available in standard short panels, and long ranch style panel’s. 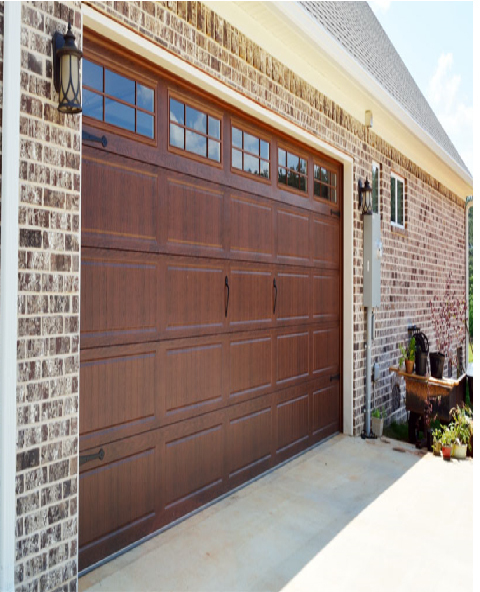 Well-defined panel embossments, galvanized and TimberLast™ wood grain finish painted steel provide years of trouble-free performance and beauty. Available color’s are Medium Oak,Dark Oak, Walnut, and Rosewood. 3110 Limited Lifetime on sections, 5 years on hardware, and 4 years on springs. 3210 Limited Lifetime on sections, 6 years on hardware, and 5 years on springs. 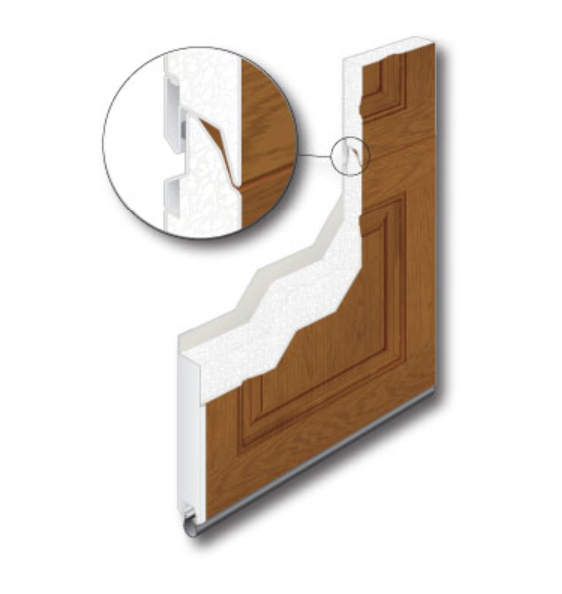 Choose from seven different types of designer inserts, and decorative hardware is available.